The four weeks before the autumnal equinox are marked with our gradual descent back onto the Earth from the sojourn in the brilliance of the High Summer’s spiritual palaces. We are accompanied by the Divine Feminine presence who provides nourishment to ease the transition. 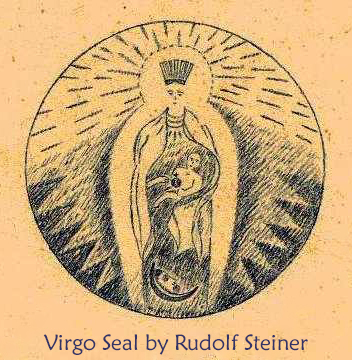 See the poignant depiction on the Rudolf Steiner’s seal for Virgo. According to traditional astrology, the Sun is visiting the constellation of Virgo between August 22 and September 22 this year. Virgo is the only female sign in the Western astrology, representing the Divine Feminine aspect of the Zodiac. The eurythmy gesture for Virgo holds the spiritual stems of golden ripe wheat. The left arm at the left hip and the right arm at the right thigh ease the flow of soulful harvest into daily life. We move within the image of Demeter and Persephone, the Mother and the Daughter, deities of the Eleusinian mysteries. They are the queens, powerful feminine forces, clad in royal blue garments. 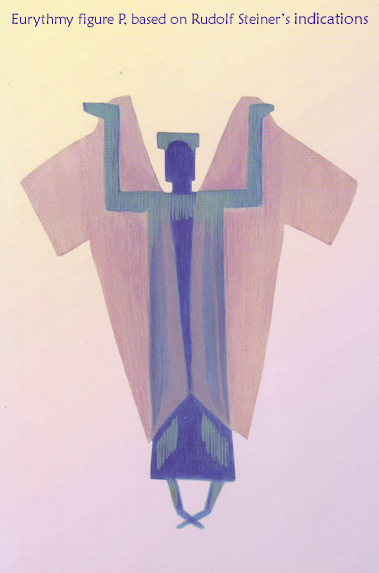 The constellation of Virgo offers us special gifts for the transitions: the consonants B and P. The eurythmy gesture for P, lifts a fine light purple cloak high above the head and gently cascades down the sides of a royal blue silk garment, creating a gorgeous arch shimmer of blue green and light purple flowers. A symbol for Spring and Summer. 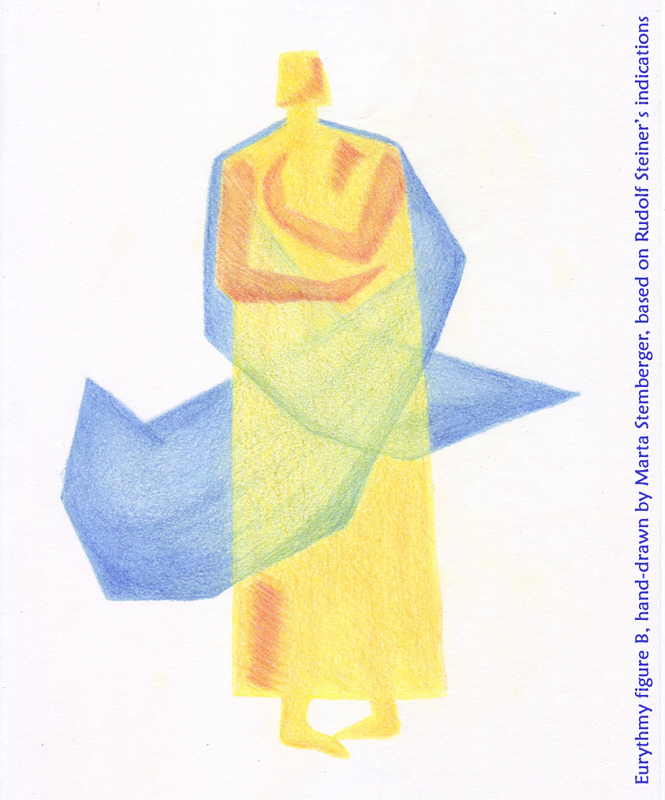 The eurythmy gesture for B gathers a blue mantle into a comfortable embrace, full of radiant orange, within which our yellow inner Light is protected and sustained. A symbol for Autumn and Winter. Take a few moments and remember some of the experiences you’ve had in the past years during the month of Virgo. Observe if you tend to be ready to consciously descend back to Earth as the Summer departs and ground the offerings of the Spirit into daily life. Or are you pulled back to hectic schedules of early September after the Labor Day? Write down in your journal the memories and the sensations that arise in you. The influence of the Virgo energies may be stronger for you if any part of your name contains the consonants B and P, or if your Sun, Moon, or any of the five main planets in your birth chart, are in the sign of Virgo.